This “tour de force” (New York Times Book Review) celebrates its 50th anniversary. Wide Sargasso Sea, a masterpiece of modern fiction, was Jean Rhys’s return to the literary center stage. She had a startling early career and was known for her extraordinary prose and haunting women characters. With Wide Sargasso Sea, her last and best-selling novel, she ingeniously brings into light one of fiction’s most fascinating characters: the madwoman in the attic from Charlotte Brontë’s Jane Eyre. This mesmerizing work introduces us to Antoinette Cosway, a sensual and protected young woman who is sold into marriage to the prideful Mr. Rochester. 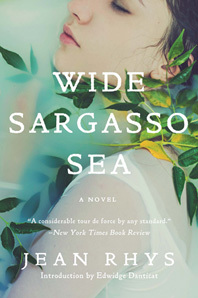 Rhys portrays Cosway amidst a society so driven by hatred, so skewed in its sexual relations, that it can literally drive a woman out of her mind. A new introduction by the award-winning Edwidge Danticat, author most recently of Claire of the Sea Light, expresses the enduring importance of this work. Drawing on her own Caribbean background, she illuminates the setting’s impact on Rhys and her astonishing work.